In its original application for a Certificate of Site and Facility, Noble/GRP predicts a 35% capacity factor, or an annual energy output of 303 million kWh. 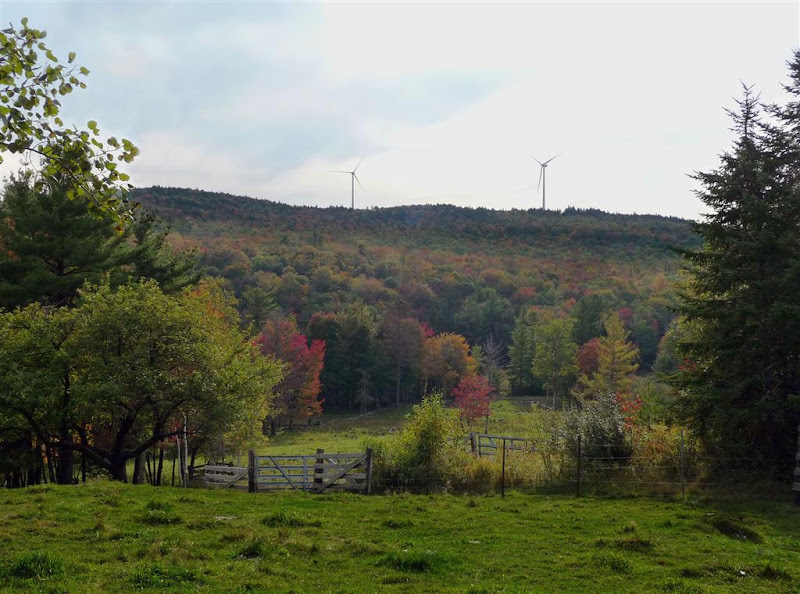 The New Hampshire Wind Energy Association is a formal intervenor in the Noble/GRP project. Throughout the course of the 14-month PUC proceeding, we asked for specific meteorological data collected from on-site meteorological towers (@ 50-meter height) in order to verify the 35% capacity factor independently. Despite signing to a “confidentiality” agreement, NHWEA never received reliable, real-time meteorological data from Noble. Lots of mirrors, no smoke. The FSEC’s staff, and the committee itself, simply does not have the technical expertise to evaluate this claim. Comments from hostile intervenors were mainly superficial and never spoke to the factors affecting energy output. NHWEA is concerned that the annual energy output of the entire project is based largely on historical and modeled wind data. Further, the wind resource data collected at the Millsfield site is fragmentary or missing or otherwise sketchy—making the 35% capacity factor questionable. Noble/GRP says that the wind turbine manufacturer, Vesta A/S, has verified the output of the project, based on wind data provided by Noble. (Most develpers have performance contracts with the wind turbine manufacturer which guarantees AEO for a fixed period, usually five years) Without such a guarantee from the wind turbine manufacturer, it is doubtful that a wind project developer could obtain financing for a wind project. That said, it is quite possible that, given the high elevation of the project, the Vestas V90 could generate enough electricity to achieve a 35% capacity factor. But without more “real world” measured wind data, the 303 million kWh continues to be aspirational. Incidentally, the Power Purchase Agreement between Iberdrola and PSNH relies on a 30% capacity factor, not 37%. The PSNH/Iberdrola contracts stipulates that the project will generate 69,426,720 kWh annually. Financing a large, utility scale wind project is far more complicated than merely calculating the “cost of capital” and cannot be compared to the financing of a home. For example, the Treasury department has just issued regulations which provide guidance to wind developers on tax incentives. Noble/GRP is eligible to take the Production Tax Credit ($0.021/kWh) based on actual energy output OR a 30% tax credit on the capital cost of the project. This would amount to approximately $82.5 million of the estimated $275 million project. With questionable meteorological data, Noble/GRP might be well advised to take the $82.5 million, obtain project finance, build the project, sell it and then get the hell outta Dodge before the posse catches up. 69,426,720 kWh / 24,000 kW / 8766 hr = 0.33 , so the assumed capacity factor seems to be 33%, not 30%.